Oh wow, time flew by so fast! I totally forgot to do a review on the Jill Stuart set, but to be honest, I haven't really been using it. All I can say is, the smell reminds me of Lancome's Miracle perfume and doesn't last long at all! I decided it was time for a new highlighter. 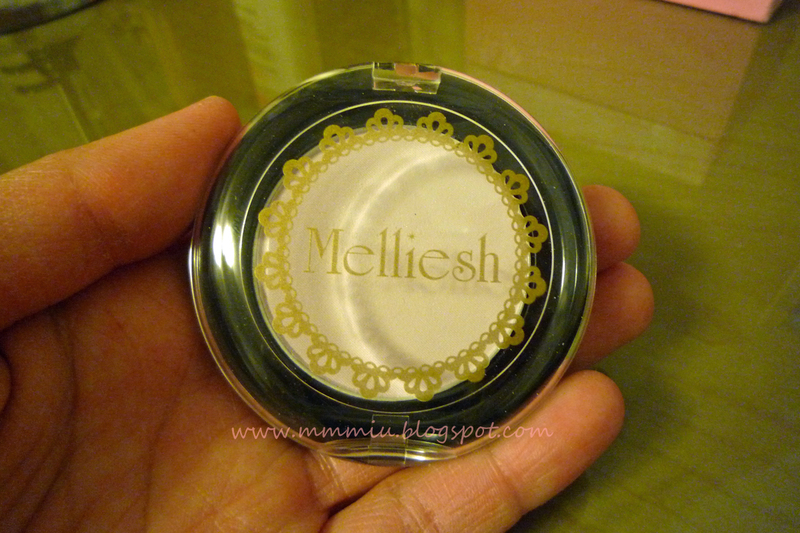 I was tempted to get the Dolly Wink beige highlighter compact but I don't know how I ended up with the Melliesh Cheek Color 06. I purchased this on the Sasa website for about $15CAD. I was pretty surprised at the size, I thought 4g would be very small, but it's pretty big. This is great for those like me that like to try many different things so having it smaller works great. 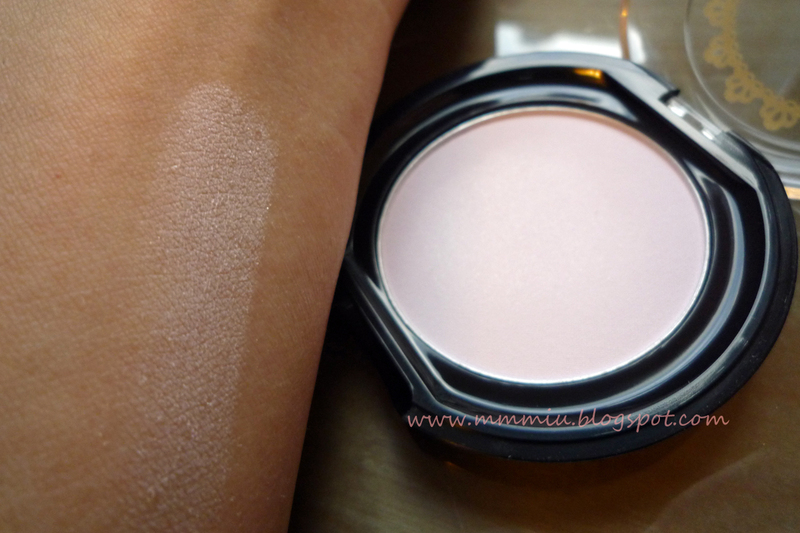 The color is a very pale lavender with practically no visible shimmer. If you look very very hard then you will notice the slightest bit of shimmer. 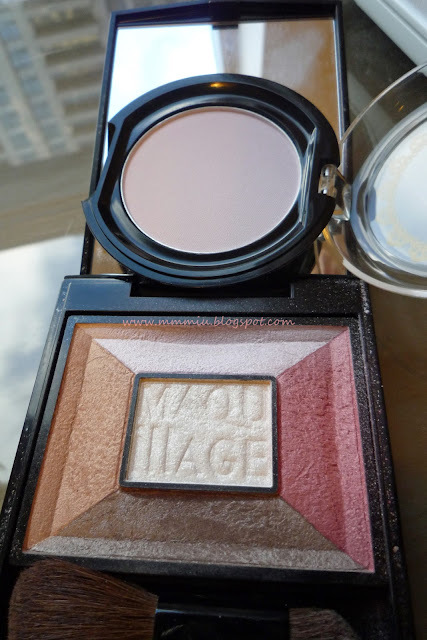 Here it is compared to the Maquillage cheek sculptor blush. I can't remember the name of the blush since it's not on the case, but it came out a few years ago. The lavender highlighter shade in the Maquillage blush is very similar to Melliesh, except Maquillage has much more visible pearly shimmer to it. 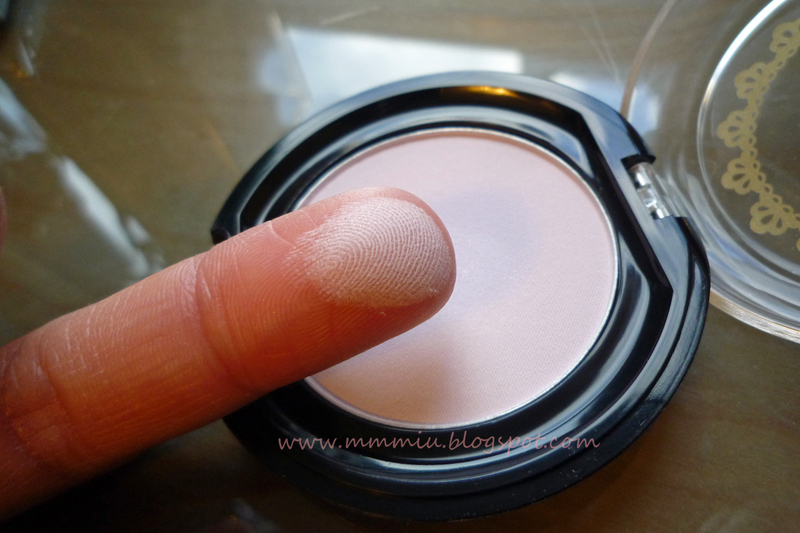 The highlighter blended very well to my cheeks without a chalky finish. I layered it two times to get a pretty glow. I kind of wish there was a bit more shimmer to it, but overall it gives a very beautiful natural glow. See, no visible shimmer and the lavender color is very pale. Although it's very pale, my coworker noticed that my skin looked more radiant! I'm not actually too sure how long it lasted on my cheeks, considering there is no shimmer for me to see how much it faded.